Matter of Trust is the fiscal sponsor of Heart of the City Farmers Market (HCFM). Grants help to keep stall fees 50% lower than neighboring markets which in turn reduces food prices and makes it affordable for low-income customers. 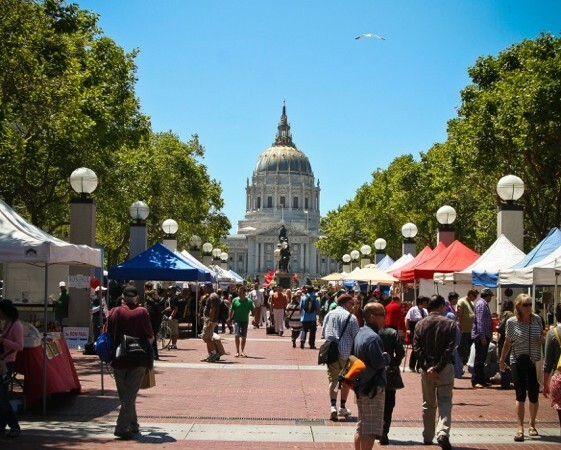 CalFresh participants spend over $250,000 annually at HCFM, which is over 65% of all EBT purchases (formerly known as Food Stamps) at San Francisco’s more than 25 farmers markets. Since June 2015 EBT customers at HCFM have received matched funds up to $7 per week to purchase additional fruits and vegetables as part of Ecology Center’s California Market Match Program. The farmers donate more than 1,000 pounds of produce a week for free distribution to the Tenderloin’s most vulnerable residents. The market also provides nutritional education outreach through a “Healthy Heart of the City Campaign” to combat the challenges to healthy eating faced by those living in poverty.